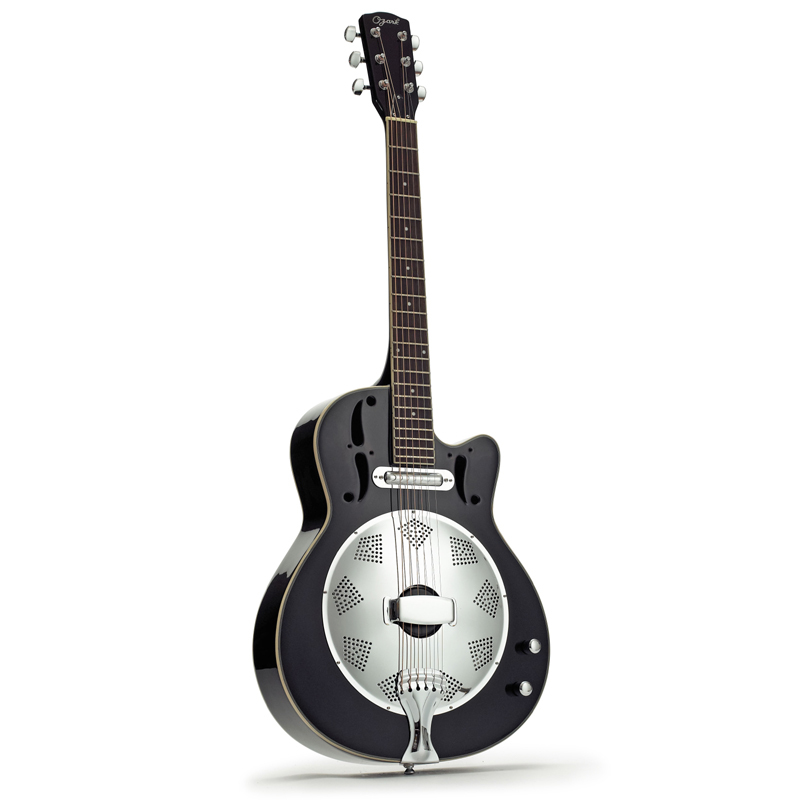 The Ozark 3515E is a fabulous wood body resonator with a stylish cutaway, in striking matt black finish. Explore the full resonator sound with its 'lipstick' style pickup with full volume and tone control. Just plug into an amplifier or PA and your Ozark resonator is ready to play with a great live sound. This is a well-built guitar with quality chrome plated fittings and machineheads and a comfortable profile on the mahogany neck, making it easy to play. With its clear acoustic tone, it is the perfect guitar for entry into the world of resonator guitars and blues and slide playing styles. Ozark is the choice of established musicians as well as beginners and professionals, who all choose Ozark guitars, mandolins, banjos and bouzoukis for their excellent quality and superb value.